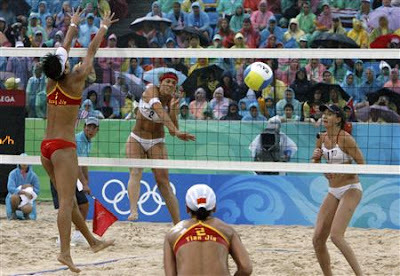 The League salutes Misty May-Treanor and Kerri Walsh for winning their second Gold at the 2008 Olympics! That's, I think, 108 straight victories for the duo. 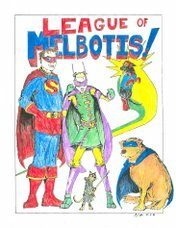 They've never disappointed, and we at The League of Melbotis have to tip our hat. Keep in mind, this time they did it in the driving rain against a team that had the home crowd advantage. And, by the way, Usain "Lightning" Bolt, set a world record while winning the 200m last night. The man is unreal. I saw in the comments that Reed-o is also a fan of the man. If you've been watching track, I don't see how you couldn't like the guy. Shazam! Bolt wins the 200m! Warner Bros. to Re-Jigger Superman Movies? The Sasquatch Corpse Saga Continues!